Cameron Horn, Macleay’s Radio Advertising & Podcasting lecturer, has won twice at the New York Advertising Festival, and many times at the Australian Broadcast Advertising Awards. 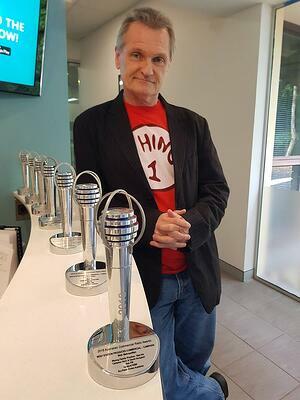 The accolades continue to roll in for Cameron who, on October 20 this year was awarded Best Station Produced Commercial Campaign at the Australian Commercial Radio Awards (ACRAs) for the campaign Wyong Family Practice - Bad Ink. Impressively, this marks his 7th ACRA since 2012. Cameron also took the gong for Radio Commercial Production Craft in Round 3 of the prestigious Siren Awards. Significantly, this is only the 3rd time in ten years that a radio station outside a capital city has won a round of the Sirens. The Siren was for Cameron’s 60-second creation for Brisbane Waters Private Hospital. Cameron reflected on some of the significant changes in the advertising industry in recent years. 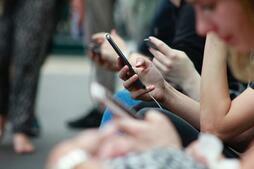 “The pace of change, especially in digital, is insane. However, the basic principles of ad writing remain...it’s just the tools have changed.” He credits his position on the teaching staff at Macleay with keeping him up-to-date with industry developments and he enjoys the opportunity to mentor young students. You can learn from Cameron in the radio units in Macleay’s Advertising & Media faculty.